over 320 competitors turned out from around East Anglia to compete in the annual Eastern Region Schools Ski Race. 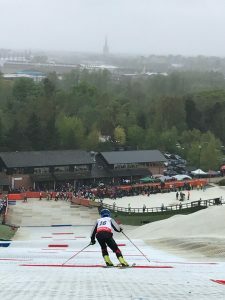 aimed at encouraging children in to ski racing. with Notre Dame coming 1st as the Fastest Senior Team, closely followed by Norwich School. A good day for medals and the Norfolk Racers!